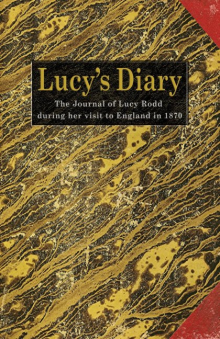 Lucy’s Diary is the journal of 15-year-old Lucy Rodd who travelled with her parents from their home in Rockford, Illinois in the USA to England during the summer of 1870. Her account of the voyage across the Atlantic and the people and places she visited in Devon, Cornwall and Yorkshire along the way gives a fascinating account of life in England in the mid 19th century through the eyes of an American visitor. Despite her tragically early death at the age of 18, Lucy’s original handwritten journal has survived for over 135 years.